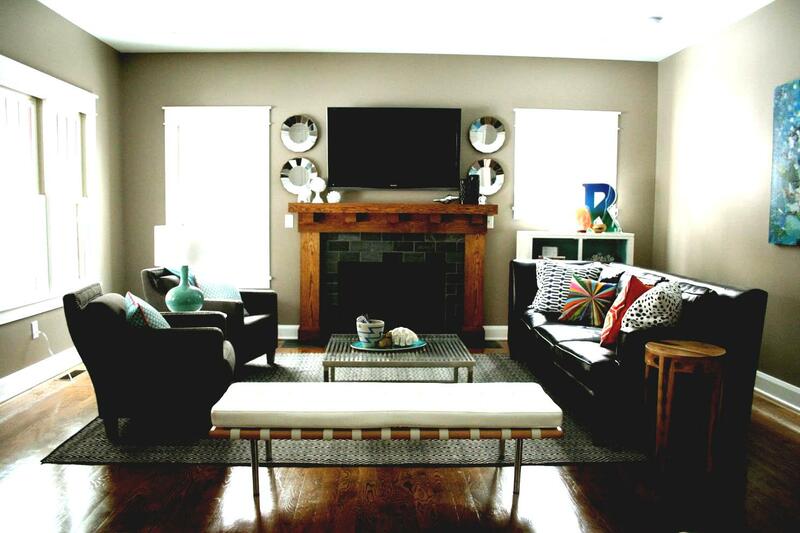 Stuck in a rut with living room decorations? Sick of staring at the same old boring pattern on your couch, love seat, coffee table, and lamps? Monotony is one of the hardest obstacles to overcome in any living space. But breaking the cycle of the same old, same old is not as hard as you may think. Making your living room seem unique and inviting can actually be a lot of fun for those of you who aren’t afraid to think differently. A great way to redecorate and make your living room seem more open and welcoming is to focus on the three furniture staples: wing chairs, ottomans and benches.These pieces can be used decoratively, but are practical as well. You can either center your living room theme around these articles of furniture, or add them in as accent pieces. A great way to decorate a living room is by using leftover paint from your walls on the wooden trim and legs of your wing chairs. The matching colors will help bring the room together. 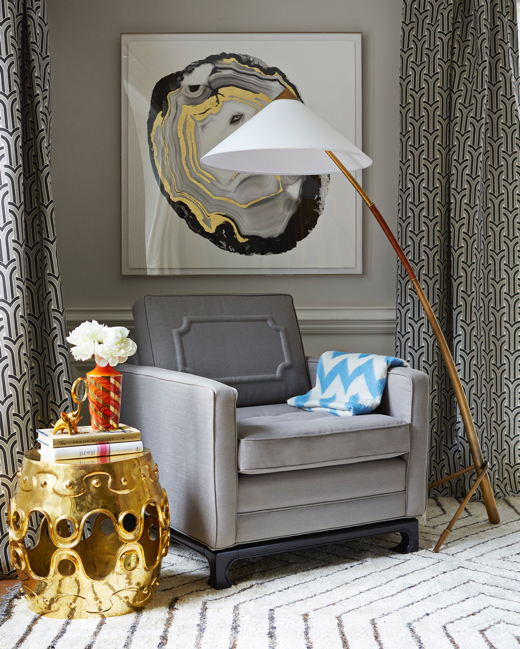 Keep your patterns and textures consistent—especially in smaller spaces. 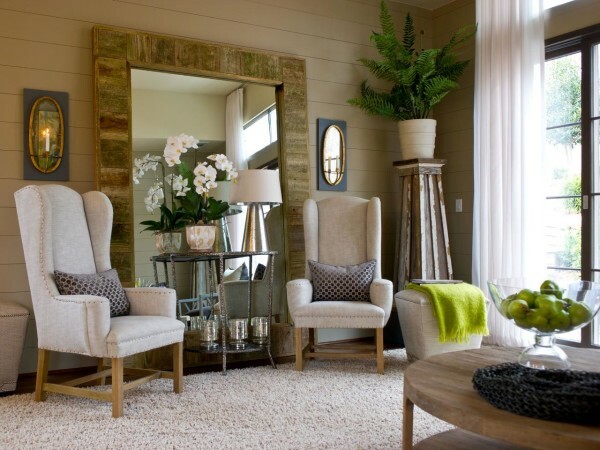 If you have a lot of bamboo decorations in your living room, try to find wing chairs that have bamboo legs and frames. This allows for the room’s theme to flow. Too much inconsistency can make your room look busy and cluttered. 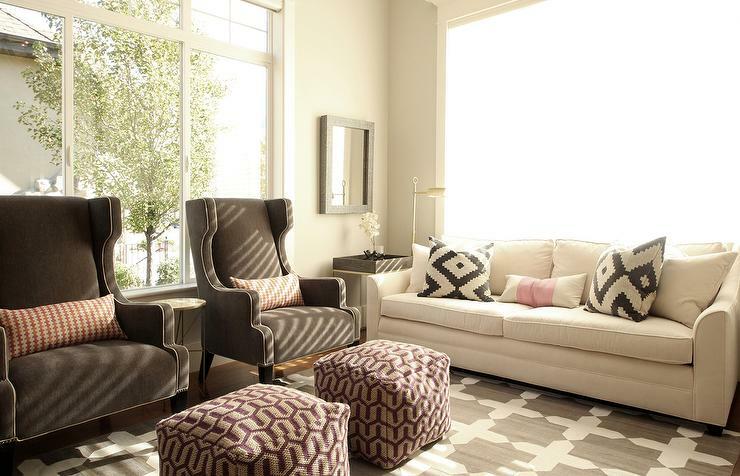 Help create a border around your room by strategically placing your wing chairs. 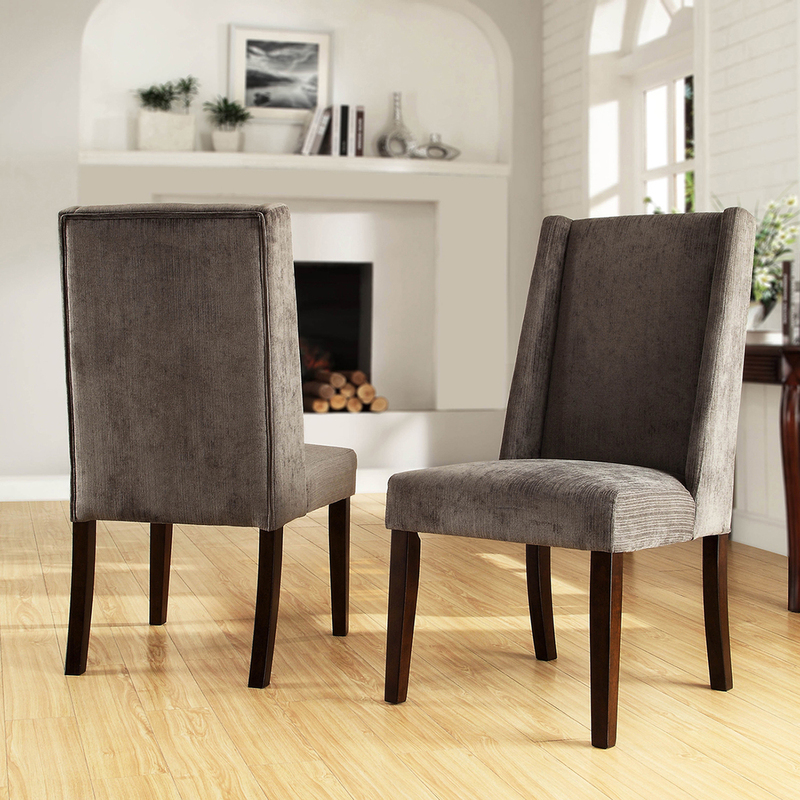 You can direct the attention of the room by making your wing chairs face the same direction. Rather than staying refined and coloring inside the lines—get risky and bold. Mix and match your furniture colors. Try using a color that offsets your main piece of furniture. If your couch is blue, try to have a white or orange wing chair. 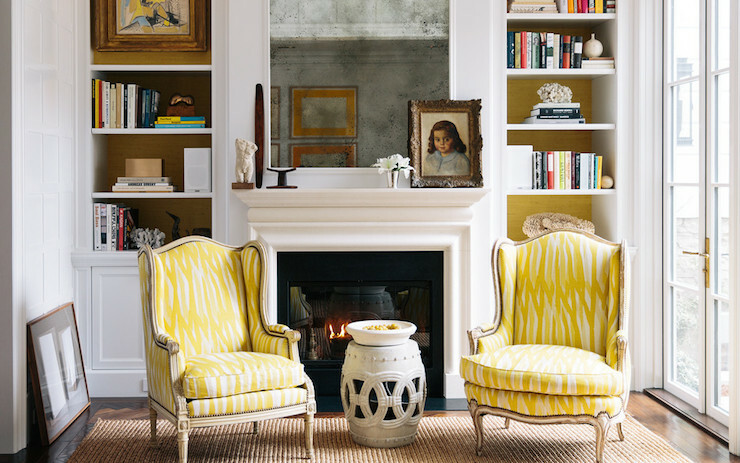 Choose a pair of matching wing chairs to face or border your fireplace. 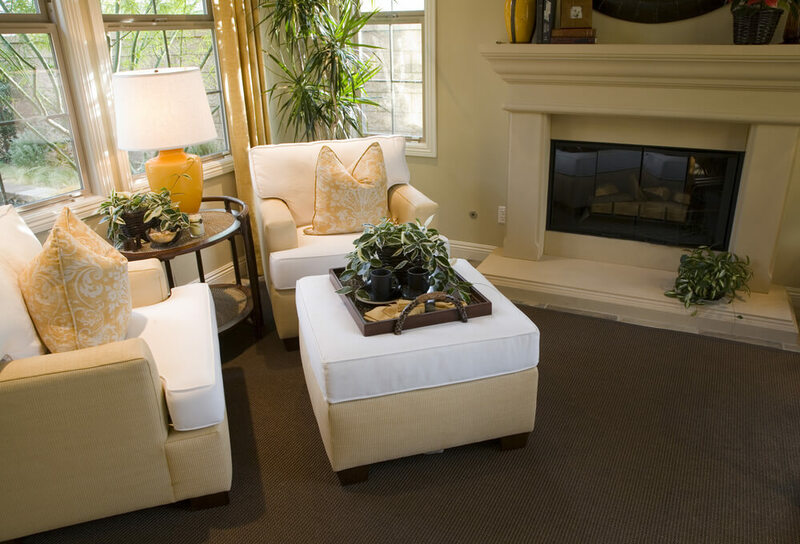 Your living room will be warm and inviting. 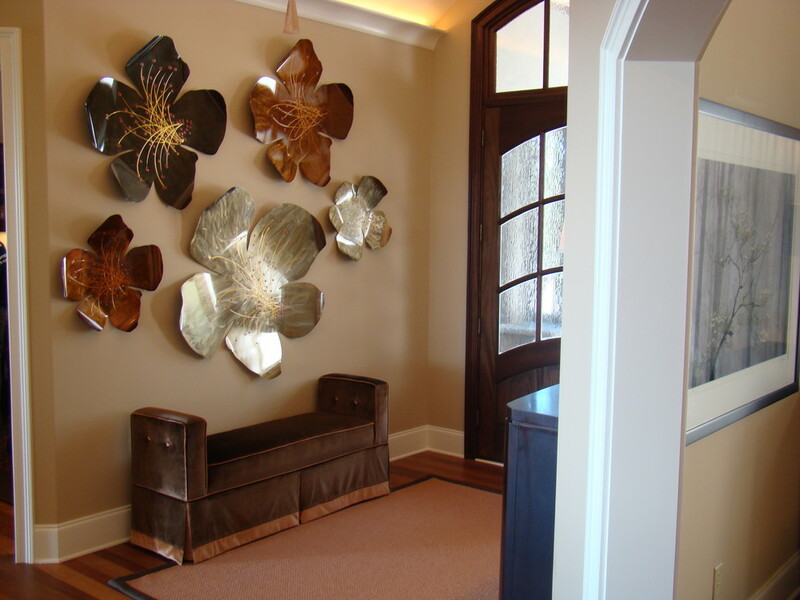 Do you have a fully decorated living room, but the entryway is a bit bare? 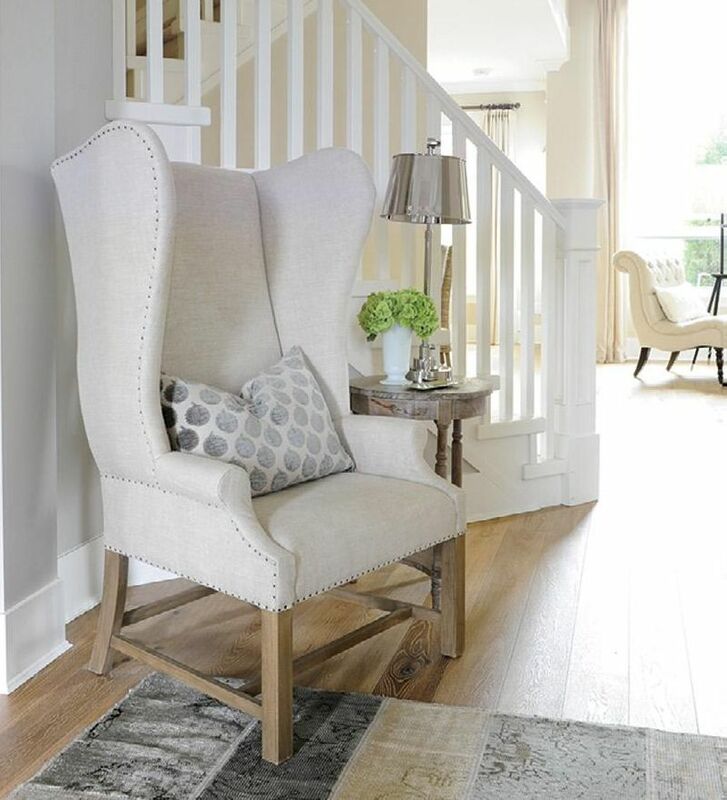 Use a wing chair to fill it up and it will become an extension of your living room. 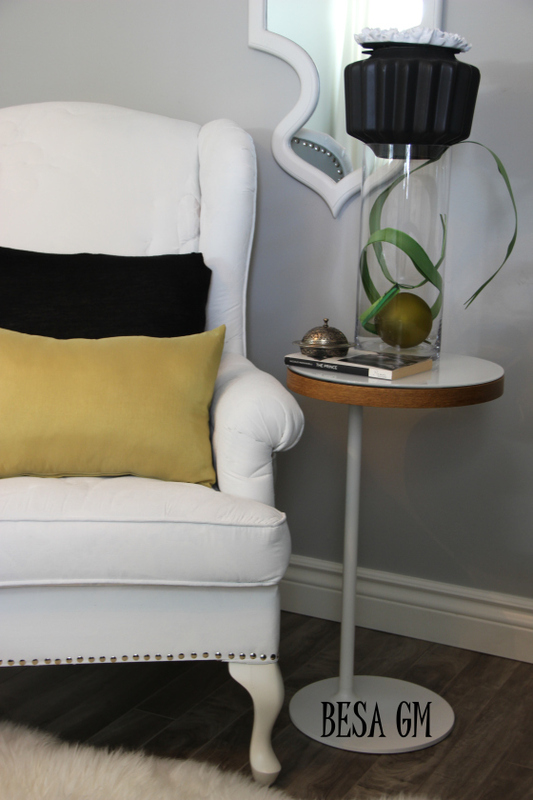 Add a wing chair in a corner to create a small reading nook. Place it by a window and add a small stack of books to decorate the chair with. 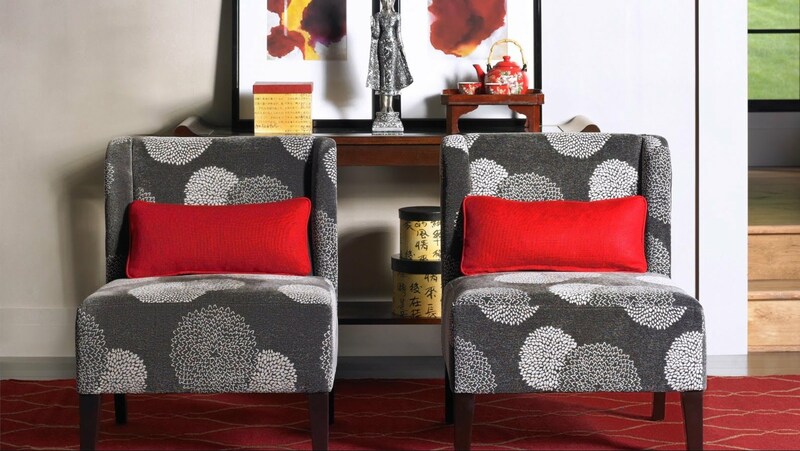 Make your wing chair a statement piece by adding a comfy, colorful throw pillow or blanket over it. This will make your chairs and your room feel more inviting. Sturdy ottomans can be used in the same way as a coffee table — it can hold books or small decorations and act as a centerpiece. 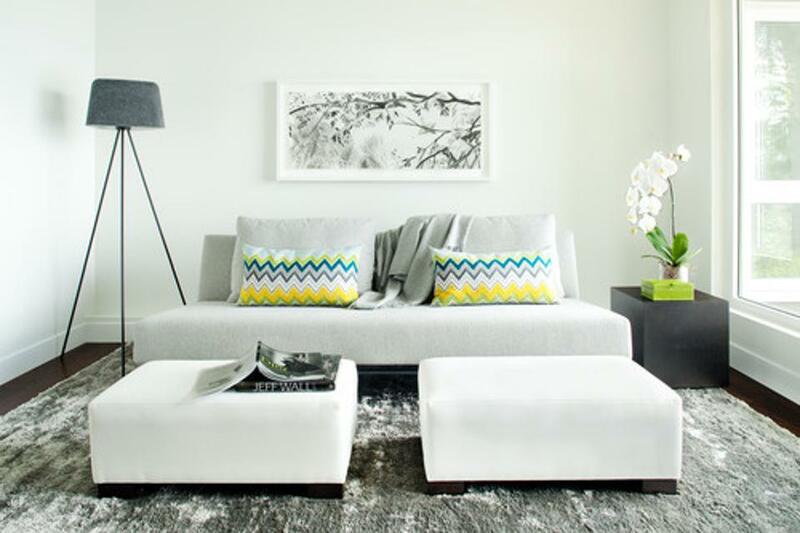 Have a pop of color in your ottoman—you don’t have to be conservative with your furniture. 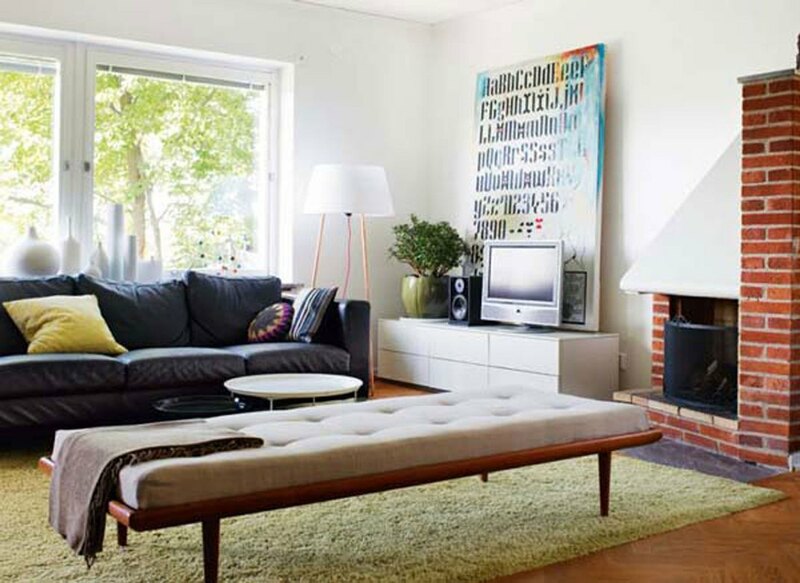 If you have neutral colored furniture, bring in a bright green ottoman to offset. Sometimes going small is big. 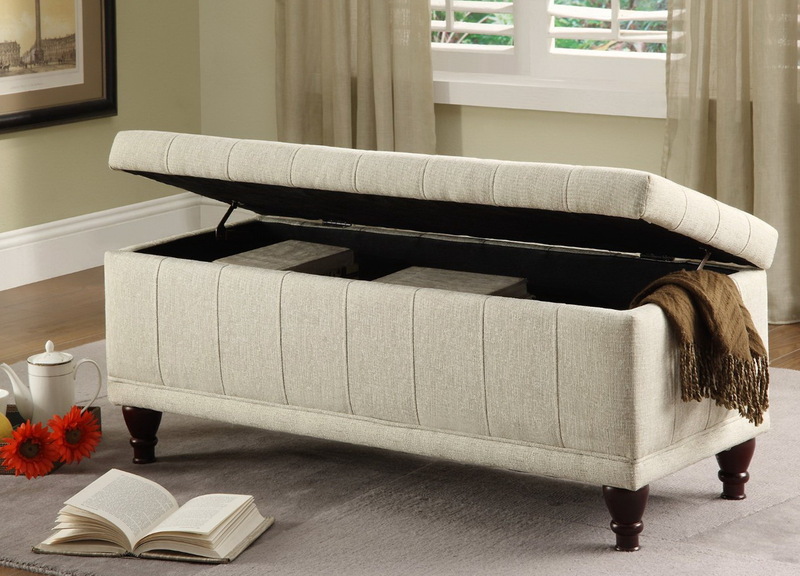 Instead of a large rectangular ottoman, try two or three square ottomans that are more like footstools. Some of the best types of ottomans are the ones that serve multiple purposes. This is a great way to create extra storage without cluttering your home with books and electronics. Use the ottoman in the same way you would a coffee table. Have a wooden tray with some collectables or vases on it for decoration. Ottomans don't always need to be used as foot rests. Position your ottoman smartly so that multiple people sitting in different chairs can make use of it at the same time. This will bring your living room closer together. More seating is always a plus—especially in a small space. Rather than having the ottoman in front of a couch or chair, or in the middle as a coffee table, use it as extra seating. 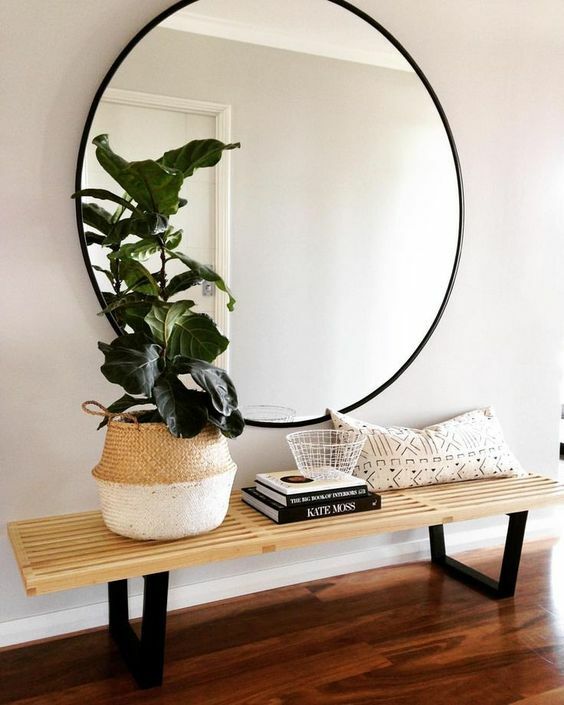 Go for the circular ottoman shape. Many of these will come in a yin-yang shape and are able to be pulled apart, giving you numerous uses for different guests. 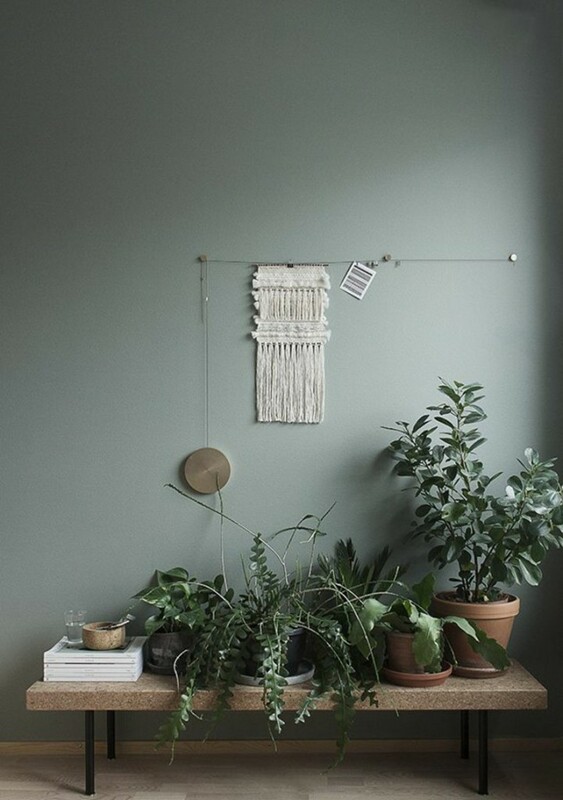 Go green with a bench for your plants. Benches decorated with plants not only bring life to a room, they also make them feel warm and inviting. Benches can be very unique. They can hide just about anything while adding a unique touch to the room. Store books, picture albums or blankets in the bench. 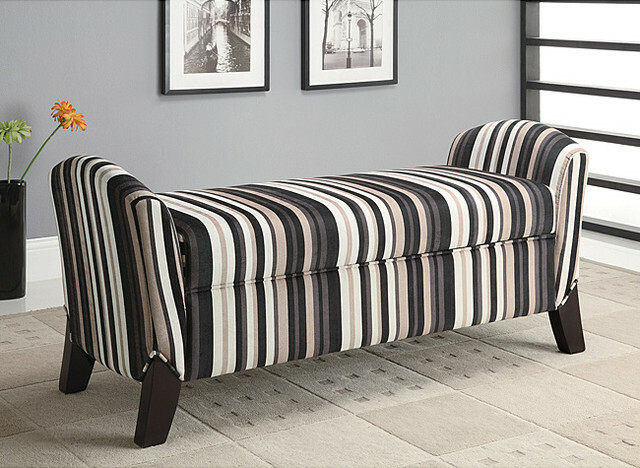 Choose a soft cushioned bench as a focal point. Use the bench as a main piece of furniture in your living room as a sitting area—especially if your living room is small. Accent throw pillows are the perfect attention getter. Place one on your bench to draw attention to its unique features. Use this as an opportunity to mix and match colors, patterns and fabrics. The impression of a more roomy area is almost as good as the space itself. 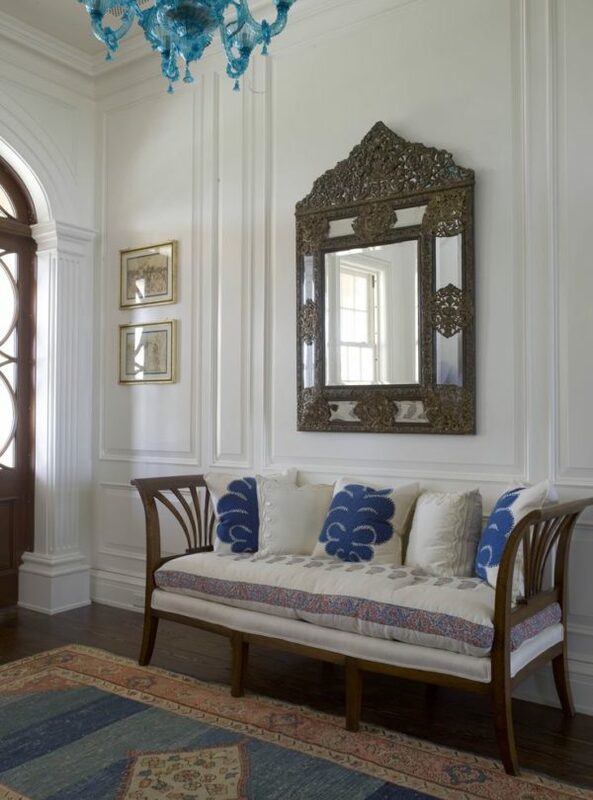 Place a large, decorative mirror on the wall right above a bench. This will help expose your living room while giving it feel of an open area. There's nothing like getting creative with your thinking—especially when you are decorating your home. If you love decorating your walls with sets of pictures or frames, include the bench as part of that. Consider it a wall decoration, rather than a sitting area. If you have an open, flowing floor plan between living room and dining room, use a sitting bench or decorative bench as a substitute for a wall. This way, it will border the two different rooms and separate them. You don't have to feel closed off, but if you need to separate, you will have the illusion of being alone. 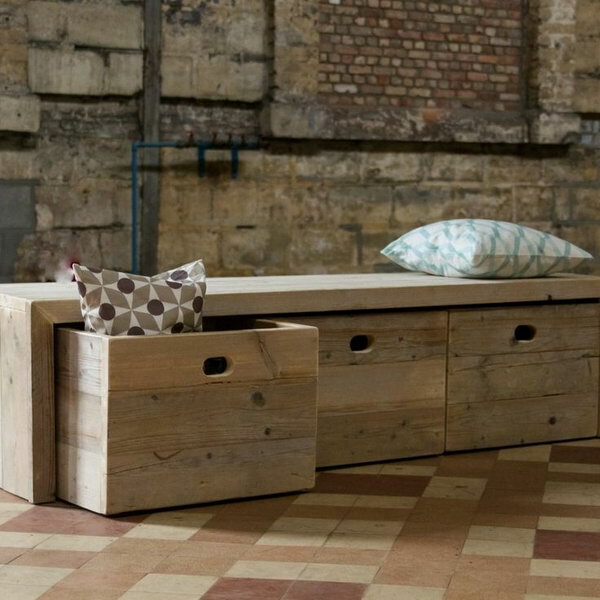 Find cubby benches that can wrap around the walls. This is perfect for adding wicker baskets full or books or toys or filling each square with plants, books, or other decorations. A room without clutter is a much more relaxing space.